Weeks after winning the Northwest League Home Run Derby, Curtis Terry is raking in another honor on the circuit. 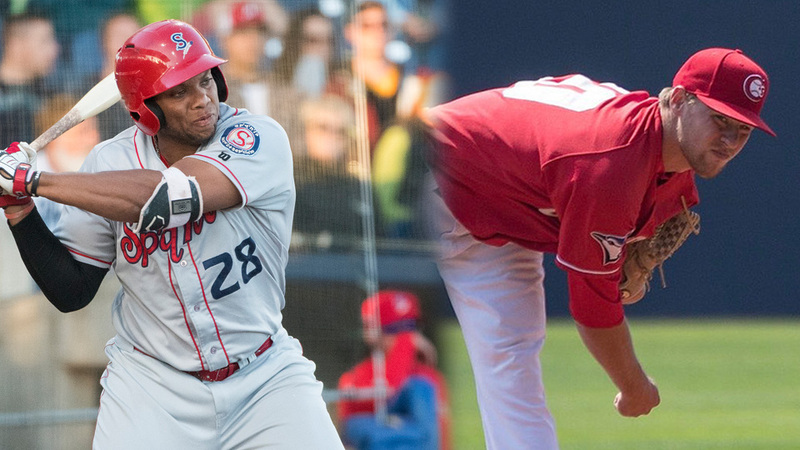 The Mariners first baseman was named Player of the Year while Blue Jays prospect Josh Winckowski garnered the Pitcher of the Year honor as part of the 2018 Northwest League end-of-season All-Stars team the Class A Short Season circuit unveiled Thursday. In his fourth pro season, Terry is hitting a career-best .336/.430/.616 while also reaching personal highs of 15 homers and 56 RBIs through 63 games with Spokane. Along with the power, the 2015 Draft pick is working three times the number of walks as he has in past years, leading to a 1.047 OPS. Winckowski is enjoying his first season in the Northwest League with career numbers as well. The 2016 Draft 15th-round pick went 4-4 with a 2.43 ERA, 63 strikeouts and 15 walks in 63 innings across 12 starts for Vancouver. Winckowski allowed just three runs over his last 30 1/3 frames, entering his final start of the campaign. The list of All-Stars was highlighted by Joey Bart, the first position player selected in this year's Draft (and No. 2 overall). After playing six games in the Rookie-level Arizona League, Bart really hit his stride with Salem-Keizer. There, the top Giants prospect hit .305 with 27 extra-base hits and 36 RBIs through 41 games. Bart collected two multi-homer games and reached base in all but two games with the Volcanoes. Other 2018 Draft picks who made the lineup were D-backs' Josh Green (14th round), Rockies' Luke Morgan (20th round) and Mariners' Bobby Honeyman (29th round). The Northwest League season ends Monday, with Everett and Vancouver having already clinched first-half titles. The Hops also snagged the second-half crown while Vancouver and Spokane eye the final spot.